Montreal-born turntablist extraordinaire A-Trak is getting ready to go out on the road, having announced two separate tours that will take him around the globe. First up is the North American geared "April Fools" tour, which a press release notes has the dude ready to "demolish sweaty venues across the continent." 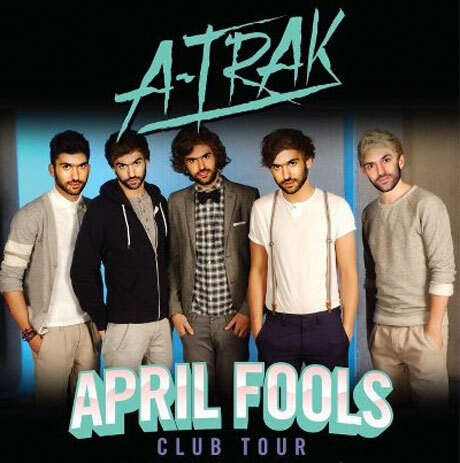 The nine-show stretch includes two Canadian stops, with A-Trak hitting Vancouver's Celebrities nightclub April 3 and Toronto's Hoxton on April 18. From there, A-Trak heads to Europe for the "A-Trak vs. the World" tour, which has him performing sets with Mark Ronson, Tiga, Just Blaze and more. You can see all the details down below. Earlier this month, A-Trak released a remix set to complement last year's Tuna Melt EP. You can sample the re-tweaks from Grandtheft, Jack Beats, Partysquad and more beneath the tour dates. You'll also find the latest instalment in his "Short Cuts" DJ routine video series.